Can I transfer credits or a degree from a nationally accredited college to a regionally accredited college or university? Probably not…but possibly. We’ll tell you how! But we have to admit right up front that transferring credits or degrees from a nationally accredited program to a regionally accredited program is pretty darn hard, maybe even impossible. Wait! Come back! We’re not here to tell you what you can’t do. What good is that? We’re here to help. We’ll do our best to help you navigate an admittedly difficult process, whether you’re considering a nationally accredited school and you’re wondering what your post-graduate options will be, or you’re already the owner of credits, or a degree, from a nationally accredited college and you’re weighing your next steps. For an overview of National Accreditation, check out our Guide to Nationally Accredited Colleges: What you need to know. Otherwise…we’ll start you out with an honest warning, the kind you’d expect from a friend. In the world of bureaucratic headaches that is transferring college credits, getting a regionally-accredited college to recognize your nationally accredited school is a compound migraine. Read on to find out what we prescribe. National Accreditation agencies are educational accreditors that are not restricted by region or geography. This means that one such agency can provide accreditation to any college or university in the U.S. that meets its criteria, which makes it a particularly well-suited model of accreditation for online colleges serving multiple regions or geographically widespread populations. As a result, the national accreditation landscape has grown considerably, and evolved in quality, with the proliferation of credible and respected online colleges and other distance education options which aren’t bound to specific geographical regions. All nationally accredited colleges or universities — whether operating on for-profit or nonprofit models — are privately owned. In order to qualify as a true national accreditor, an agency must be recognized by both the U.S. Department of Education and the Council for Higher Education Accreditation (CHEA). As with regional accreditation, colleges who have attained national accreditation have met certain criteria relating to quality, performance, and other key indicators. These indicators will differ for each national accreditor. Consult each individual accreditation agency to learn more about the metrics used to award national accreditation, as well as to identify those colleges, universities, and institutions that have met these stipulations. National accreditors recognized by both the Department of Education and the CHEA fall into three major categories: National Faith-Related Accrediting Organizations; National Career-Related Accreditation Organizations, and; Programmatic Accrediting Organizations. Programmatic accreditation refers to accreditation for individual degree programs, departments, or schools within a college or university. The Department of Ed and CHEA recognize dozens of programmatic accreditation organizations. Read the full list here. Programmatic accreditation is not an institutional form of accreditation, which means that it is not an accreditation that is used to recognize an entire college or university. Our discussion is focused on institutional forms of national accreditation. Therefore, references to national accreditation in this article do not refer to programmatic accreditation. Before moving on, it’s also important that we understand the core distinctions between national accreditation and regional accreditation. This distinction in jurisdictions is important when it comes to the subject of online college. The national orientation of national accreditation means that it is in many ways well-suited to colleges that aren’t bound to a specific geographical region. But for the purposes of our discussion, this distinction is less important than the distinction in perceived quality. Regional accreditation is seen as the gold standard in accreditation. The nation’s most selective, reputable and respected universities — both online colleges and traditional colleges — are regionally accredited. To the point, our rankings at The Best Schools feature only regionally accredited schools. This level of recognition provides certain assurances about the quality of education, currency of the curriculum, the credentials of educators, and the credibility of the resulting degree. Stated simply, regional accreditation is better. And this is the distinction that matters most on the subject of transferring credits. Most regionally-accredited colleges consider this distinction a critical one, and do no accept or recognize credits or degrees earned from colleges that lack regional accreditation. May be considering a nationally accredited college for reasons relating to access, areas of interest, affordability, etc. If any of these situations applies to you, we’ll do our best to advise you regarding the transfer process. This is an area where we can’t make a lot of promises, but we can offer our insight. As a national accreditation group, ACICS faces the same uphill challenge to its credibility as many others in its sector. As such, it offers a few resources advocating for and advising on how best to improve your chances of transferring credits from a nationally accredited institution to a regionally accredited institution. Educational quality of transferring institution, typically dictated by accreditation from an institution (regional or national) that is recognized by the U.S. Department of Education (USDE) and the Council for Higher Education Accreditation (CHEA). These factors can complicate the transfer process regardless of accreditation. The complexity is usually greater if you’re looking to transfer credits or a degree from a nationally accredited college. What if I already have credits or a degree from a Nationally Accredited College? If you’re already enrolled in a nationally accredited program, approaching completion, or already have a degree but you’re interested in transferring to a regionally accredited college or university, of course the big question is, will your credits transfer to your new school? On the surface, the answer is, probably not. This is especially true if you are considering a highly regarded or selective public or private non-profit university. Top regionally accredited institutions are unlikely to even consider credits from a program without regional accreditation. The standard transfer application process will not provide any obvious paths to transferring the credits or credentials you’ve earned in your nationally accredited program. Well, if you aren’t too deep into your program, you could certainly just cut your losses and get started on a regionally accredited degree program. Not to discredit your current program, but if you do plan to ultimately pursue a regionally accredited degree, you could save yourself a lot of hassle by making the transition sooner than later. Hopefully you learned some good stuff in your program. You probably won’t be taking the credits with you. We understand. Nationally accredited or not, you spent money on this program. So how to make the most of it? Well, there are some regionally accredited colleges or universities that will make exceptions for nationally-accredited credits or degrees. These are rarely among the most reputable or selective colleges. In some instances, these may be colleges that have earned regional accreditation but which operate using a for-profit model. The for-profit sector of higher education does offer some viable educational options — particularly in the areas of technical training, professional certification and online master’s degrees. However, the for-profit model has also lent itself to deceptive recruitment tactics, poor product quality, and shady, fly-by-night organizational structure. You will need to approach this option with caution. That said, there are some for-profit colleges with regional accreditation that may be willing to recognize a portion of the credits you’ve earned as a student at a nationally accredited institution. If so, it will usually be according to the stipulation that the national accreditation in question is recognized by both the Council for Higher Education Accreditation (CHEA) and the U.S. Department of Education. Moreover, if you are transferring into a program that awards Associate Degrees and Bachelor’s Degrees, it will likely be required that your nationally accredited program also awarded Associate and Bachelor’s degrees. If your national accreditation meets these conditions, it may be possible to transfer some portion of your credits to your new regionally accredited school. But, again, if you plan to go this route, it is absolutely essential that you shop with caution. The for-profit educational landscape is rocky, to be certain. While for-profit institutions like Phoenix University have gained a modicum of credibility, others like Corinthian College and Trump University demonstrate the permeation of fraud and bankruptcy in this higher education sub-sector. So in the event that a for-profit college is your best bet for capitalizing on existing credits from a nationally accredited program while advancing toward a regional degree, take all the proper precautions by consulting our Guide to For-Profit Colleges: What You Need to Know. Though there are rules which dictate whether a school can or will accept your transfer credits, these rules can vary considerably based on factors like state of school, state of residence, chosen discipline, and even your own academic performance. This means that you will have the ability, in some cases, to file an appeal to any decision rejecting your transfer credits. And while most colleges or universities will have their own process for reviewing and considering appeals, it will give you an opportunity to present your case. Begin by reaching out to the receiving college or university and asking for a copy of the school’s existing appeals process. So yes, it is technically not impossible to transfer your nationally accredited credits to a regionally accredited program, but it will most certainly be an uphill climb, and one that includes more bureaucratic hurdles than the average transfer process. What if I’m considering enrolling in a Nationally Accredited College? If you’re just at the beginning of this path and you’re considering enrolling in a college or university that only has national accreditation, you should weigh your options carefully. There are a few reasons that you might consider enrolling in a nationally accredited program. In many cases, nationally accredited schools are more accessible, regardless of your prior academic performance. Moreover, nationally accredited colleges often provide a technical, applied or professional focus that may be perfect for your intended career path. If this is your intention, we advise you to check out our Guide to Nationally Accredited Colleges: What you need to know. This should tell you everything you need to know about choosing a reputable nationally accredited college and making the most of your degree. This may be a good resource for you if you’re seeking professional skills and certifications, but have no intention of transferring to a regionally accredited program. If you do eventually plan to enroll in a regionally accredited program, you may want to consider a different path, or at least prepare for a world of bureaucratic difficulty when the time comes to transfer your credits. Refer to the section directly above for the details on exactly what to expect. You can also check out our comprehensive guide to the whole wide world of accreditation here. You can explore the universe of regionally accredited online colleges in search of your program. 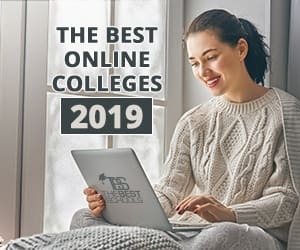 Before you dive into a nationally accredited commitment, see if there’s a regionally accredited option for you among our Very Best Online Colleges.